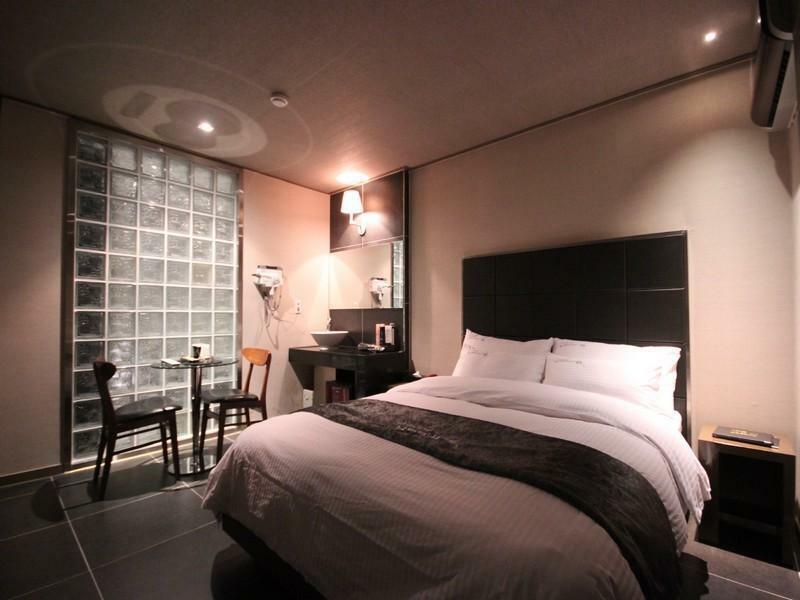 "The room was spacious and quiet and the staff cleaned and pr..."
Have a question for Yeow-B Hotel Jinju? 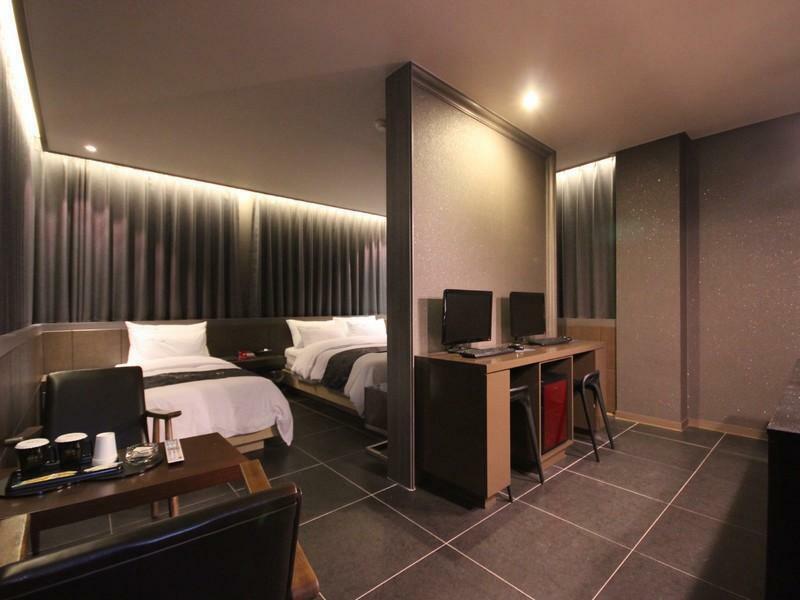 "It is well located in Jinju and easy reach of many restauran..."
Built in 2006, Yeow-B Hotel Jinju is a distinct addition to Jinju-si and a smart choice for travelers. From here, guests can enjoy easy access to all that the lively city has to offer. With its convenient location, the hotel offers easy access to the city's must-see destinations. At Yeow-B Hotel Jinju, every effort is made to make guests feel comfortable. To do so, the hotel provides the best in services and amenities. Top features of the hotel include free Wi-Fi in all rooms, 24-hour front desk, express check-in/check-out, luggage storage, Wi-Fi in public areas. Guests can choose from 37 rooms, all of which exude an atmosphere of total peace and harmony. Besides, the hotel's host of recreational offerings ensures you have plenty to do during your stay. 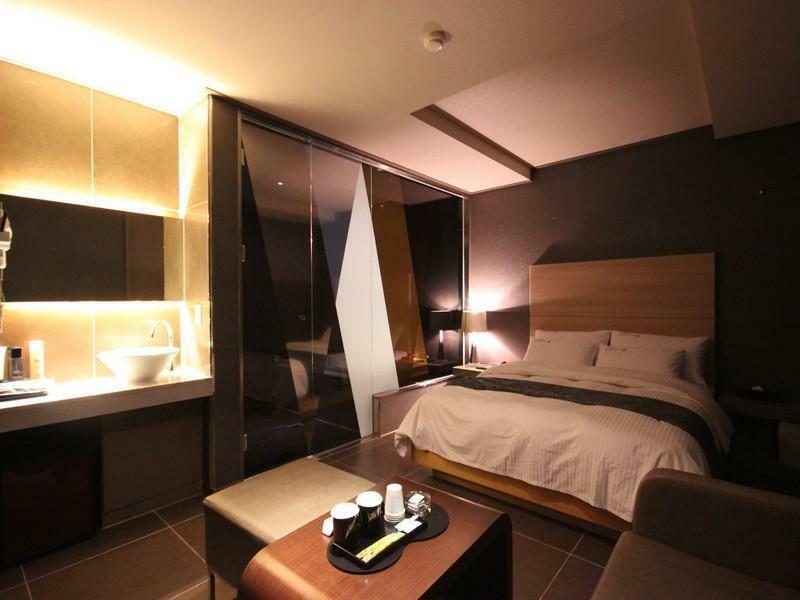 Enjoy unparalleled services and a truly prestigious address at the Yeow-B Hotel Jinju. "The reception speaks acceptable English and the room was cle..."
Had a good 2 night stay here even though being the weekend of the Jinju Lantern Festival the price was a bit more than usual. The room was spacious and quiet and the staff cleaned and provided fresh towels each day. Within good walking distance of the festival and fortress The only drawback was the bathroom. The bathroom floor would flood each time the shower was used because of insufficient drainage outside the tub for the excess water. A floor drain is located in the toilet cubicle but the tiles are not laid so that the water can flow towards the drain. Would recommend only taking baths here to avoid the flooding. Love hotel -room was so dark, but they exchange the rooms. Facilities were good. The location didn't look so safe for girls. The air conditioner has dropping water when turned on, but it was quite noisy if you opened the window. The bed is comfortable but the room was a little bit dirty. It is not value for money. I booked this hotel online and found it very easy to locate. the reception speaks acceptable English and the room was clean and ready. it is well located in Jinju and easy reach of many restaurants, shops, markets etc. Although my prime reason was a kick off point to climb Jirisan mountain about an hours drive away and then sleep over before going to my home just over three hours away in Ulsan. Certainly recommend it for visiting the town on a budget. I was happy with my stay here. I was booking a little late for the lantern festival so I was unable to get in at one of the top-rated places (which I assume are closer to the river). This place was a little further from the river, but realistically just a 5 minute walk and through lots of good dining areas. The hotel itself is fairly invisible from the outside with a small reception area accessed through the carpark. But once inside, it's a good hotel with clean, well-appointed rooms. I accidentally left my phone behind when I checked out so drove back and was pleased to find the receptionist had already set it aside with instructions for return to me. Didn't expect much from this place as the entrance is hidden. However, upon entering the room, I was shocked at the size and quality of the room. Beds are very comfortable, and the bathroom is better than any four or five hotels I've been to. On top of that, water, soda, coffee, and juice in the min-bar of the room is free. The hotel is located in a very safe area, and you can walk about three minutes down the street for coffee and waffles. I stayed here for a week last year, and just book again to go this year. One of my favorite hotels, and in many ways, better than most Starwood hotels I've stayed at. This hotel is situated in downtown so it was great to have such easy access to the shops and restaurants. The staff were nice and the room itself was what we expected. It is a love motel but it had all the facilities like flat screen tv, computer and spa. Great hotel! It is a ok stay. Happy with the free minibar, coffee and toast ( near reception area). Room with window but view is just the building next door. The neightbourhood is at the back alley of the downtown shopping area, so once you know the way to walk to the Main Street, it give you more shopping and dining options. The room has window but is viewing the window or the rooftop of the building next door. The room is with heavy smell of smoke which is not pleasant. It would be good if the hotel is with more rooms of two separate beds. Our room is one of the few rooms that are with two separate beds, so we cannot change to another on smoking room as others are all with one bed. My stay was great, but it was very expensive. We will not be staying again because there are much more affordable options. My friend and I stayed for one night. The room was big, two computers, a flat screen with cable, large bathtub with two shower heads. The one really weird thing (that I found amusing) was that the bathroom did not have a door and one of the walls that separated it from the bedroom was see through... Made for an interesting shower. But I liked everything else about it. don't be alarmed by the small entrance and the reception area with hardly room to squeez four persons at one time but rooms are spacious, modern and contemprary. free internet access on the pc in the room. very helpful staffs but no english speaking ability. so be prepared to practice the sign language. location is right bang in the centre of town with excellent facilities on the doorstep for food, drinks, local market and the uptown department store 'galleria'. night life is superb with bars and clubs just round the corner so no need to look for taxis in the late hours when you can stagger to the hotel within minutes. locals are great, friendly and safe to walk and enjoy in the late hours.